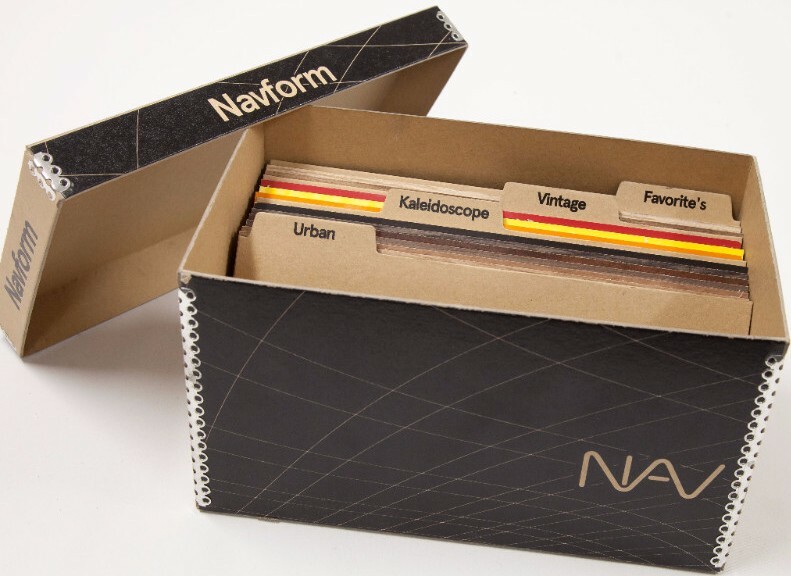 Navform textured panels are the latest product to be released by NAV. If you are looking for a way to create a real point of difference in a residential or commercial space, look no further than the NAVFORM wall panelling system. NAV have recently launch a brand new range of European inspired colours. The veneer collection are crafted from responsibly sourced reconstructed wood, which deliver the warmth and texture of solid timber in a lightweight, durable and completely customisable form. Please contact Matt Guy to arrange a product presentation or to request samples. NAV will be hosting a stand at AWISA from 6th - 9th of July 2016, to be held at the Melbourne Convention & Exhibition Centre South Wharf Melbourne. NAV will be hosting drinks and canapés on stand # 657 each night from 5 pm - 7 pm for the duration of the event and would like to welcome all attendees to join us. If you are planning on attending the event, and reside in South Australia please contact Matt Guy to book an appointment. Collectively MPH Architects, structural engineers and Schiavello International developed technical joinery solutions for the workplace that creatively serve as acoustic, privacy and zoning barriers. 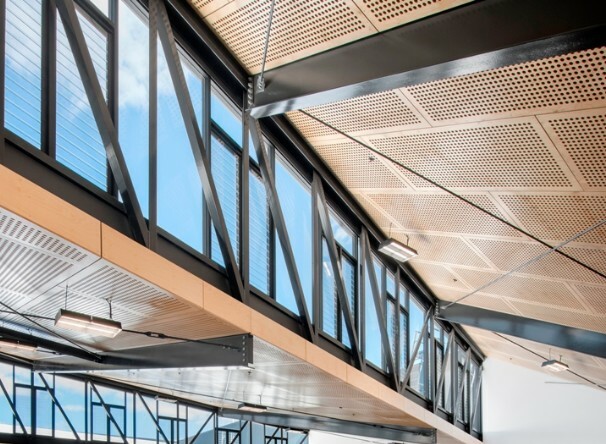 Air-conditioning technology was innovatively adopted to support the Gen-Eco Ultra-lite balsa suspended timber screens, which were suspended from the building roof structure. Below are images of the recently completed State Drill Core Library. Designed by Thomson Rossi Architects, Keystone Acoustics worked closely with the architect, Builder (Hansen Yunken) and Installer (Laser Linings) to achieve this outstanding result. 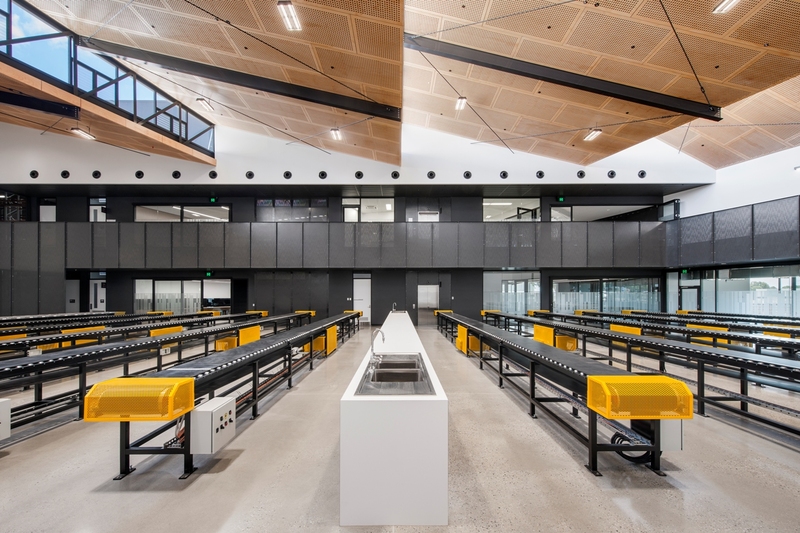 Thomson Rossi had the following to say: "Thomson Rossi were greatly assisted by the Keystone Acoustics team to realise our vision of a grand space for the all-important core viewing room or “Discovery Room” as it has now been named, in the new state of the art South Australia Drill Core Reference Library, opened in March 2016. 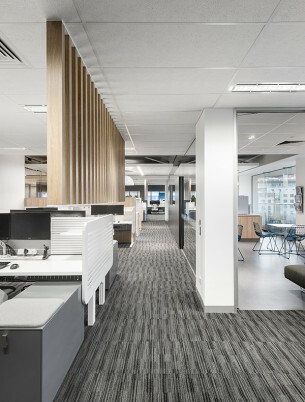 The perforated acoustic ply ceiling is highly visible and contributes enormously to the significance of this pivotal space, adding both warmth and drama while maintaining acoustic performance of the highest level. 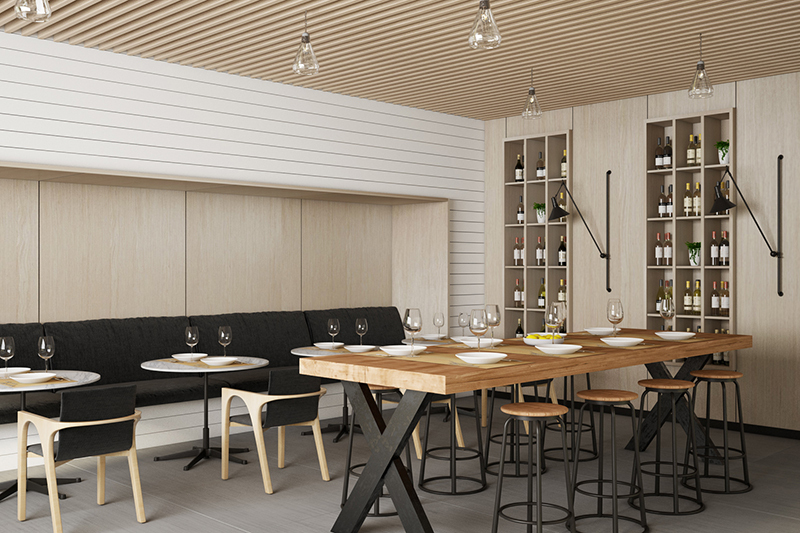 Keystone acoustics worked closely and collaboratively with the design team at Thomson Rossi to provide technical assistance and to reduce cost to ensure this important design feature could be realised within challenging budget constraints for the wider project." The Arlequin hide is a design collaboration with Art Hide's sister brand, Amigos de Hoy. 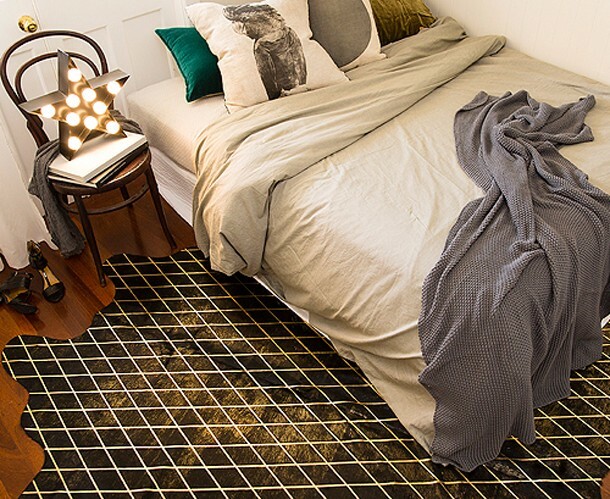 Premium quality natural cowhide has been elegantly finished with a metallic devore technique in a fine diamond pattern.This black base hide is available with either gold, silver or copper metallic pattern.